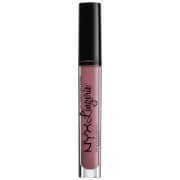 Nars Satin Lip Pencil coats your lips in highly-pigmented colour, as well as providing intense moisture to keep your lips kissably soft and supple. Enriched with a nourishing blend of vitamins, the colour-bright pigments give fantastic colour payoff and a satin finish. Easy to apply, the jumbo pencil gives you easy glide and control for precise application, and can be used as a liner and for all-over colour. 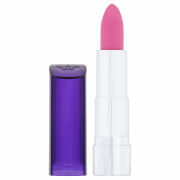 To use as a liner, apply in feathery strokes from the middle of your lips to the outer corners. For all over colour, glide the pencil across your lips. I just adore this kind of lip pencils from Nars, I already have 3 different colors and love each one of them. Totally recommend them! Such a nice colour a texture! Will definitely be investing in more of these! i really want the color--damned,but i can't find it ,so i tried another.PALAIS ROYAL is also beautiful. These pencils are very creamy, lightweight, but extremely pigmented with decent wear time. Got them in shades Lodhi and Floralies, I wear them quite a lot. Really nice and easy to apply. Good colour. Great colors, easy aplication... I can't live without them! This is my favourite colour at the moment. Easy to apply.